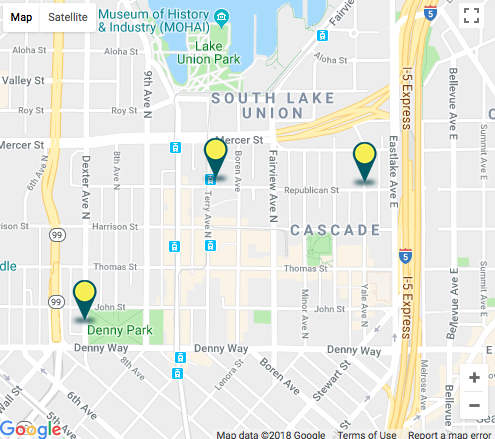 In an ongoing effort to deliver safe and reliable energy to the Seattle-area customers, Puget Sound Energy crews have been upgrading the natural gas system in your neighborhood. PSE is committed to completing their work safely and efficiently, and their crews will do their best to reduct impacts to neighbors. 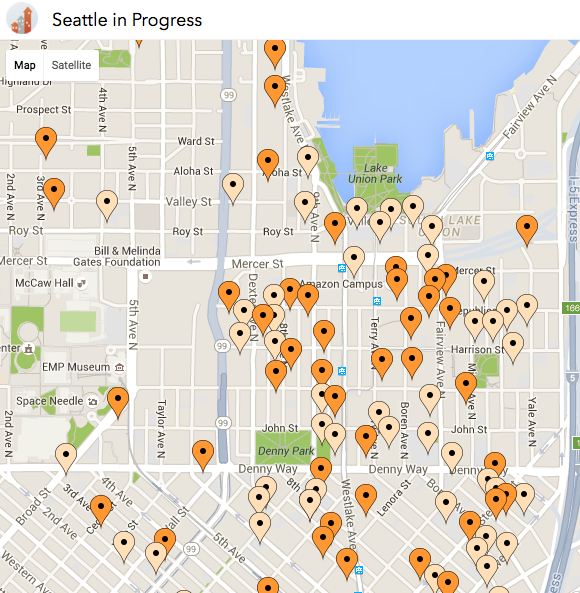 Click map below for more info on select projects. The lakefront projects consist of three new buildings and stretch from Fairview Ave N to Terry Ave N between Mercer and Valley Streets. The buildings are commonly referred to as Block 25 East, Block 25 West, and Block 31. 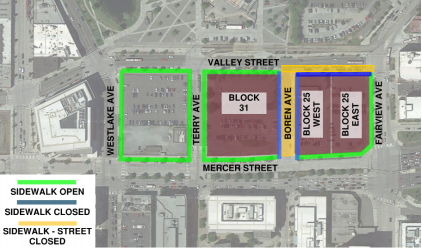 Block 25 East and 25 West have independent below grade parking garages while Block 31 has one large below grade parking garage. Each building will have above grade retail and office space with Blocks 25 West and Block 31 having additional floors of apartment living. Special Project Update: Block 31 - East Mat Foundation - Crews will set up traffic control and equipment at midnight on Friday, October 13th. Concrete placing will begin at 1 AM. The concrete pour is anticipated to be complete no later than 5 PM Saturday the 14th. Valley will be closed in both directions between Terry & Fairview and during this pour except to Seattle Metro & Emergency vehicles. The Fairview Bridge was built more than 65 years ago and needs replacement. 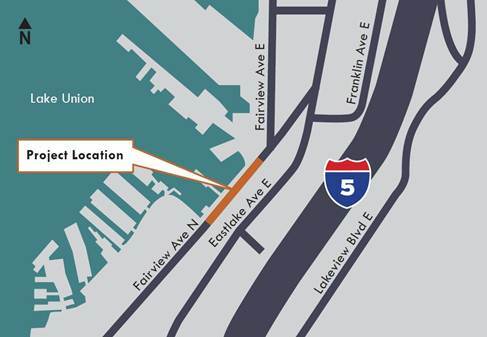 Located on the southeast shore of Lake Union near the 1200 block of Fairview Ave N, the bridge is next to the historic Lake Union Steam Plant building. The Fairview Ave N Bridge Replacement Project team has been working to secure necessary permits to begin construction. Construction will now start in fall 2018. Construction is still anticipated to last 15 months. Each Construction Hub has a dedicated resource who meets regularly with stakeholders, contractors and partner agencies to identify potential right of way conflicts and proactively resolve issues. The Coordinator also addresses emergent concerns, coordinating interagency responses to stakeholder issues in real time. Other Inquiry: this miscellaneous category is for making an inquiry or request not listed above, which will be processed by the City's Customer Service Bureau. Mobile users should choose this category to provide feedback. 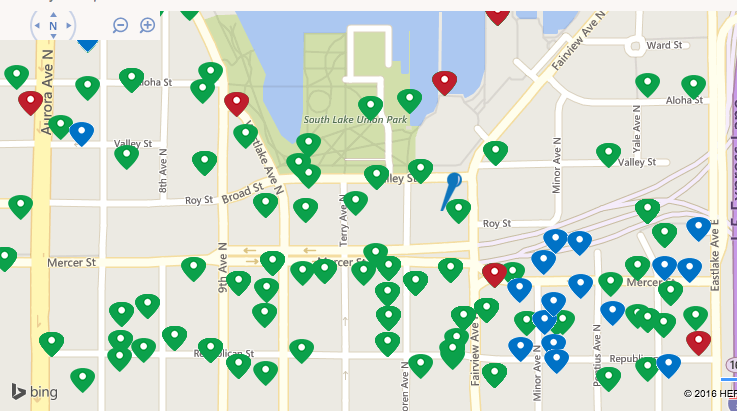 The Denny Network will be built underground in South Lake Union and Denny Triangle Streets. View Interactive Map. 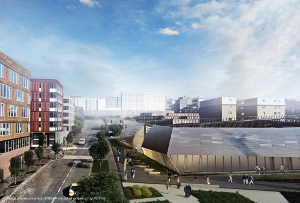 The Denny Substation meets the functional need of supporting and serving the expansion and growth of the area and the aspirational goal of being a community asset. The unique design includes public benefits that will encourage a safe and active pedestrian environment. Learn more by clicking the image below! 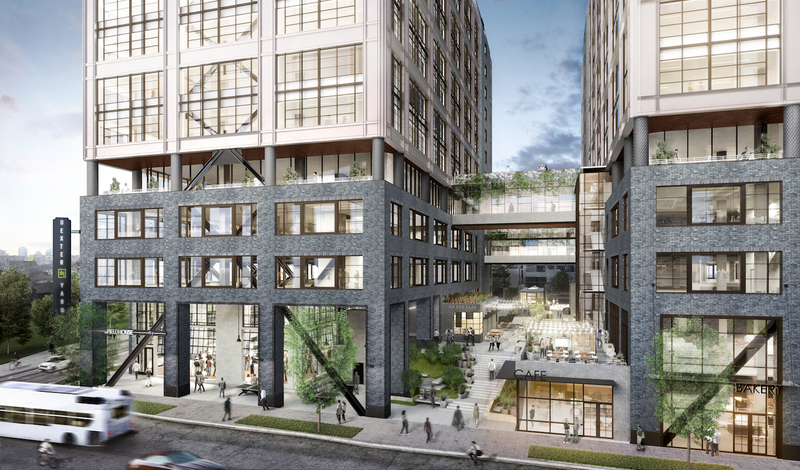 SkB Architects, a full service architecture and interior design firm located in Seattle, announces the design of Dexter Yard, a new 540,000 square-foot building in the South Lake Union neighborhood of Seattle. Scheduled to open in late 2020. Learn More. 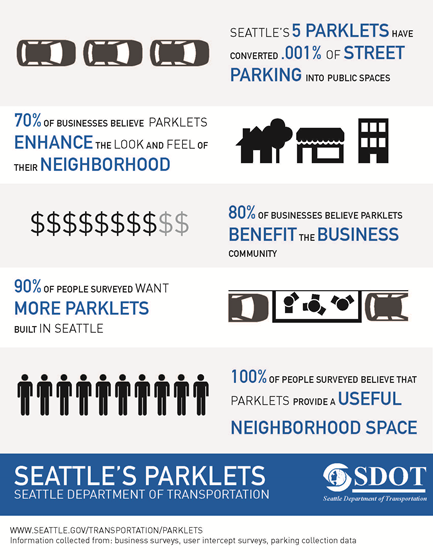 As warmer weather approaches and people look for places to spend time outside, the Seattle Department of Transportation is working to increase awareness of its Parklet and Streatery Programs among businesses and community groups. The South Lake Union Chamber of Commerce is a partner with the Seattle Office of Economic Development's Business Retention and Expansion Program. The mission of this partnership is to provide direct assistance to businesses to help them grow and compete. Learn more on our Member Benefits page!